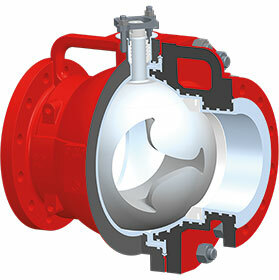 Richter, a leader in PFA lined pump and valve solutions, has introduced a new size control ball for its KNR and KNAR control valve series. • Universal chemical resistant PFA lining. • Permeation and vacuum resistant construction. • Higher efficiency due to better control behaviour especially in the lower range. • Lower operating costs through increased capacity. Richter’s proven KNR design with play-free one-piece ball shaft, leak-free labyrinth seal and maintenance-free stem sealing ensures a long operating life and maximum safety.